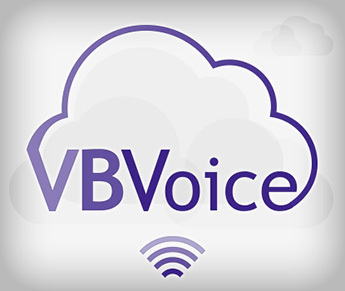 Many of our customers use VBVoice to build large, complex communication systems for their clients. Hosting VBVoice licenses in the cloud allows our customers to reassign and reallocate licenses any time, easily, to multiple clients. Customers that go this route often offer services to their clientele as Software as a Service (SaaS) and charge a subscription fee – clients can start using the service quickly and easily, and if they decide they no longer need the service, those purchased licenses can be assigned to another client – or held for future clients. The risk of purchasing more licenses than needed, or losing a client and losing the associated licenses, is not an issue when operating in the cloud. Mission-critical applications require a disaster recovery model; customers hosting licenses from colocations achieve stable, guaranteed uptime of their applications by hosting licenses on the cloud from more than one data center. If something happens to the first COLO location, the secondary site using backup licenses can take on the workload, and the application will continue to function normally. The end user never even knows there was a problem. How does your company’s move to cloud computing change the way you host VBVoice applications? Let us know!